The Bible repeatedly refers to God as father and his followers as his children. Dependent upon our relationships with our earthly parents, this can either be a calming thought or one that leads to tension. Some of us were taught that our heavenly father was mostly a judge who showed his disappointment and anger when we made mistakes. Most of the time when I think of the relationship between father and son, my mind goes to how I feel as an adult, but perhaps the better way to imagine the concept is between a wise father and a very young child. The Bible tells us that God is far superior to humans in reasoning and love (Isaiah 55:8 is only one place we find this truth) and we can readily see that as the creator of this vast universe in which we live, he is far beyond us. When we are mere babes-in-arms or toddlers, and our fathers are given the responsibility to care for our needs and train us up in the ways that we should go, perhaps that is when we are most like the relationship between God the father and we the children. Pastor Steve McMillan at Bow Valley Christian Church recently used an illustration that points to the truth in this. 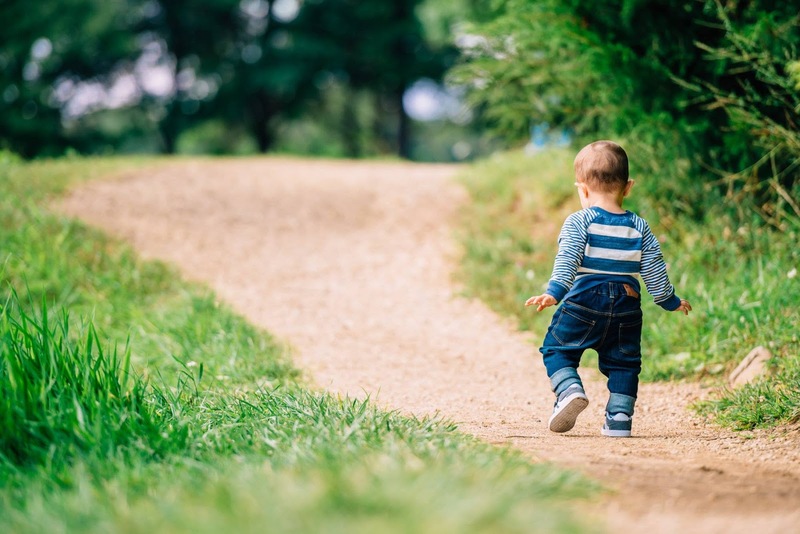 When a child reaches that age where they begin to walk (usually within a few months of their first birthday) we see the pride of the father in the child. 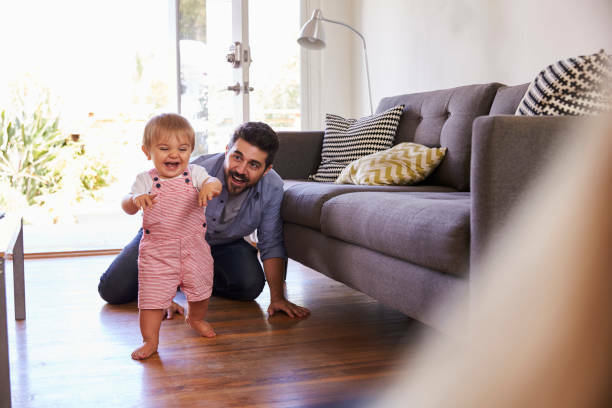 The child manages to get up and hold onto some piece of furniture and walks along it before coming to the end of safety. At some point, they must launch out on their own and so they stretch a leg and arm out and take those first halting steps. Soon the awkwardness of legs, body, and heavy head get in the way and the child thumps down on the forgiving cushion of a nicely padded bottom. At this point we don’t see the father berate the child for falling. We don’t hear him say, “What is wrong with you? You only took three steps!” No, instead the father is ecstatic. He cheers the babe on and says, “Wonderful, you did so well. You took three steps before falling." He pulls out his cell phone and tries to capture the next steps on video. He calls his wife into the room and says, “Honey, come in here quick, see what our daughter has just done!” He calls his parents on the phone and acts like his child is the most brilliant and coordinated child on the planet. He jumps around and hoots like a mad-man, all because this child took three steps and fell hard. So too, our heavenly father is more interested in the steps we take than in the many times we fall. Sure, he does not want to see us fall and get hurt; there is pain in his heart when he sees us scrape our knees and bruise our muscles. Yet, he is more interested in the fact that we actually walked for a while. He is there to encourage us to get up, wince at the pain, bandage the scrapes, and get moving again. Fathers do not worry about the falls. Certainly, if the child keeps falling for the next several years there may be something wrong and the father intervenes to find a way to help the son walk, but that is not the usual case. So, what of my life here on this earth? Am I focussed on how many times I fall or on how much progress I am making? I would do well to set myself some goals and aim toward them rather than focussing on the time I spend on the ground. My heavenly father is certainly looking at foot-steps and progress, otherwise he could not be my loving father at all.